Last night, over 200 people joined us to celebrate the graduation of the JuntoIII companies: Earlybird, KnowledgeHound, Medtelligent, and TopstepTrader. They successfully completed our nine-month Apprenticeship Program, consisting of a Peer Forum, 12 Classes, Mentorship, and Tutoring. 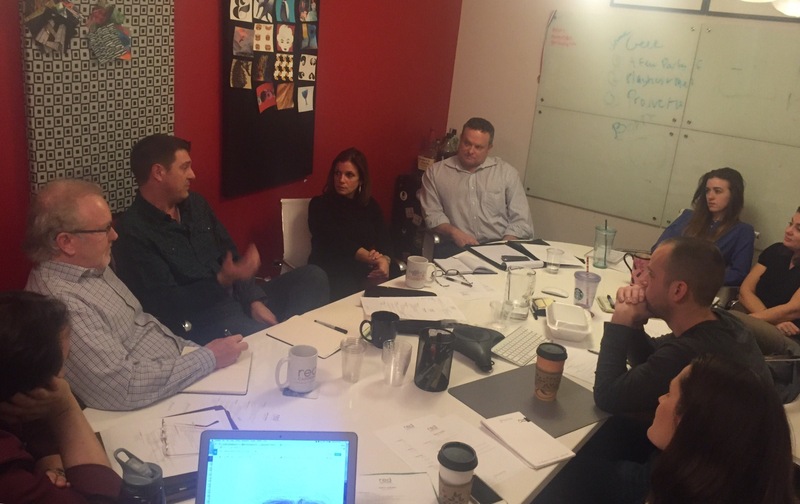 It was an intensive commitment made, and fulfilled, by the leadership teams to grow and improve as leaders. But the payoff was huge - the revenues of JuntoIII companies, on average, grew by 157% in 2015. Dozens of JuntoMentors, Instructors, and Partners - the people who power the Apprenticeship program - were in attendance, joined by spouses, partners, and many special guests. The evening was capped off by inducting the four graduate companies into the Leather Apron Club, the exclusive alumni organization of The Junto Institute. 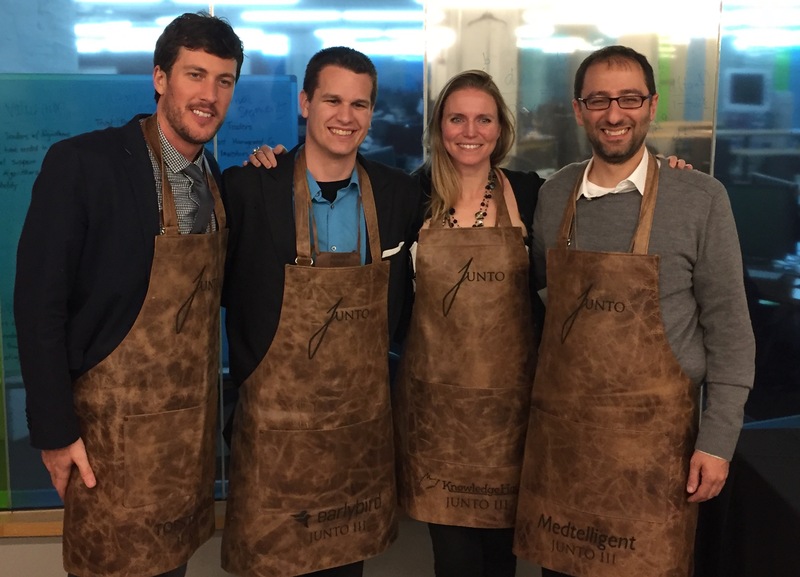 Each company's CEO was presented their leather apron by a sponsoring JuntoAlum company. Chris Ruder, CEO of Spikeball (JuntoII) presented KnowledgeHound's apron to Kristi Zuhlke, CEO. Ramzey Nassar, CEO of ThreadMeUp (JuntoII) presented Earlybird's apron to Andrew Parnell, CEO. Steve Kreynin, CEO of Forte (JuntoII) presented Medtelligent's apron to John Shafaee, CEO. Remo Picchietti of the JuntoTeam presented TopstepTrader's apron to Michael Patak, CEO, on behalf of Mark Murrell, CEO of GetMaineLobster (JuntoII), who was unable to attend. To see what the graduating companies and our guests had to say about JuntoNight, take a look at the Twitter stream for the hashtag #JuntoNight.